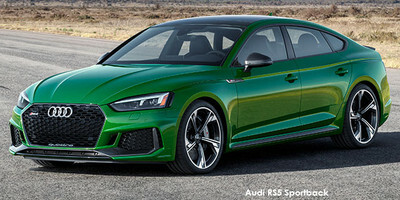 Quattro – Audi's Neckarsulm-based performance division – recently expanded its RS portfolio in South Africa with the addition of the RS5 Sportback and the RS4 Avant. We got behind the wheel of the latter to find out whether you should consider it over its coupe and station wagon siblings. Does it offer the best of both variants? We don't like: Doesn't quite land that knockout blow, dynamic steering is not the most direct. Some Audi dealers regularly offer specials: Have look here. Is there a more appropriate colour for an Audi RS model than Misano Red? Until recently, the RS5 coupe was the only RS version of the B9 generation-A4 sedan and station wagon (as well as their A5 coupe, cabriolet and Sportback derivatives, for that matter) in the South African market. 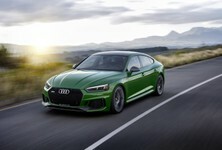 The RS5 coupe isn't a bad offering whatsoever, but given that Audi's rivals BMW and Mercedes-AMG offer sedan, coupe and convertible versions of their executive-class performance cars, it was well and truly outnumbered. Audi South Africa has now introduced the RS4 Avant and RS5 Sportback, which share a powertrain and various other components with the coupe. 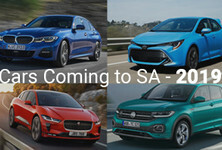 National new vehicle sales figures suggest the station wagon has limited appeal (despite its iconic moniker, but Audi holds firm that it won't build a sedan version), so perhaps the RS5 Sportback is a good compromise. Like the coupe, it packs a meaty biturbo 2.9-litre V6 engine and quattro all-wheel drive, but all of that is paired with a stylish body (replete with an extra pair of doors and a practical hatchback). So, what's it like to drive? OWN AN AUDI? Please tell us about your experience here. Fans of the Audi RS brand will fondly remember the peach of a naturally-aspirated (4.2-litre) V8 engine in the previous RS4 and RS5 (although, interestingly, this is the 1st RS5 Sportback). Not only did it sound glorious, but it delivered sledgehammer performance. When news broke that the V8 "had lost 2 cylinders and gained a pair of turbos", purists were upset, but Audi did it in the quest for improved driveability/flexible performance and better efficiency. The 2.9-litre turbocharged V6 matches the outgoing mill in terms of peak power output (331 kW), but comfortably trounces the V8 in terms of maximum torque (600 Nm at 1 900 rpm, compared with 430 Nm at 4 000 rpm). Does 170 Nm make all the difference? You bet! What happens when you shift the 8-speed transmission into Drive and floor the RS5's accelerator? Instantaneous shove, that's what. 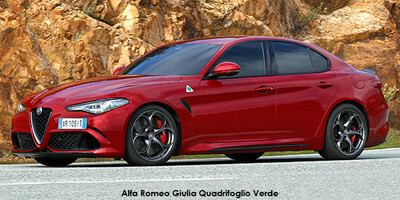 By virtue of the bi-turbo setup, there's very little lag and the 'box is mapped to deliver dual-clutch-like gearshifts. The car is responsive and urgent, especially in its most aggressive driving mode (Dynamic). Audi claims a sub-4-second time for the 0-to-100 kph sprint and does feel that fast, despite the lack of a launch-control function, which speaks to the fact that the RS5 Sportback is ostensibly aimed at a more demure clientele than its M and AMG rivals. Fortunately, you can mimic a "launch control" function by employing some deft footwork... Because the RS5 Sportback is required to transmit 600 Nm to the road, the dual-clutch S Tronic transmission, which Audi tends to favour for many of its performance variants, is not suited to handle all that torque. Therefore, Audi has fitted a conventional 8-speed automatic, but it's sufficiently responsive; the feel through the shift paddles is pleasant. The Audi RS5 Sportback's digital dashboard, replete with a centrally positioned rev counter. One of the things we appreciate most about the RS5 is that you can "tone down its lunacy". It's not always appropriate (or possible) to make the rapid Audi hurl itself down a stretch of asphalt as if it's a strafing fighter plane, and perhaps this author is mellowing with age, but such full-bore driving antics are tiresome. Comfort mode completely dials back the Sportback's throttle response, power delivery, relaxes the steering feel and even closes its exhaust valves. It's remarkable to cane a credible AMG/M rival one minute and then, at the touch of a button, you could be fooled into thinking you're piloting (but) a 2.0 TFSI. Of course, you can tailor the settings of the car's Drive Select interface exactly to your preference. Can it handle dynamic cornering well, or at least as well as its acclaimed rivals? Well, the Audi RS5 Sportback is not a lithe and lightweight vehicle, and the balance of its quattro setup feels neutral (front to rear). Despite the laws of physics fighting it all the way, the RS5 exhibits impressive grip levels most of the time. When the tyres eventually scrabble for traction, predictable understeer sets in. The optional quattro sports differential setup is claimed to be capable of sending more power to the rear axle for some tail-sliding theatrics, but you'd really have to be pressing on to experience this. The steering setup suffers the same affliction as many modern cars: there's not enough real feedback and, at times, it can feel a tad artificial. At this end of the market, the Audi RS5 Sportback delivers luxury features in abundance. Granted, it doesn't have the latest ultra-modern Audi infotainment system, which we've experienced in the Q3, e-tron and A7, but it's a tried-and-tested setup. Audi's Virtual Cockpit (a trendsetter in terms of digital instrument clusters) is standard and comes with RS5-specific graphics, such as a central rev counter and speedo'. The standard RS seats look gorgeous with their hexagonal patterns and red stitching on black leather. They're also functional, offering excellent lateral support. The RS5's Sportback configuration has 2 key benefits, at least in our estimation. Not only does this A5-based performance flagship really look the part, but its hatchback-style load bay makes it surprisingly practical. A claimed luggage capacity of 480 litres is not to be sneezed at – and you're said to gain a total of 1 300 litres with the rear seats folded. That's big enough to accommodate a mountain bike without needing to take a wheel off. One of the issues we have the RS4 and RS5 coupe is a comparative lack of rear legroom. 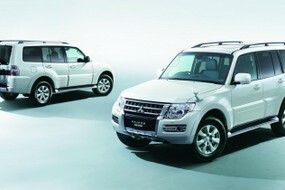 These are meant to be family cars, yet space in the back seems a challenge for anyone over the age of 10. The Audi RS5 Sportback addresses this with commendable rear legroom, although taller people may find that the headliner will touch the tops of their heads by virtue of the roofline, which slopes down towards the edge of the Audi's tailgate. One of the benefits of the Sportback derivative (compared with the coupe) is better rear legroom, giving it a decent family-sedan slant. The Audi RS5 Sportback sits atop of the A5 pile. Retailing for R1 312 000, the RS5 Sportback is a touch more expensive than its coupe sibling (R1 297 000) and comes standard with a 5-year/100 000 km Audi Freeway (maintenance) Plan. 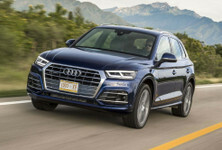 Audi South Africa's decision to offer its potent 2.9-litre V6, in combination with quattro all-wheel drive, in at least 3 configurations, is sound. An RS5 coupe is limited in practicality and the market for the RS4 Avant (station wagon) is rather limited. The 5-door Sportback RS5 is the most sensible iteration... Not only does it offer that potent powertrain, but there's a credible load bay (accessible via a giant aperture). Rear legroom is acceptable too, although tall folk may not have quite enough headroom. It's priced fairly, sitting well within reach of its RS5 coupe and RS4 Avant siblings. Should you buy it though? We think if you're looking for a high-performance vehicle that doesn't compromise on day-to-day comfort and practicality, you'd be hard-pressed to outdo Ingolstadt's offering. The Audi RS5 doesn't offer the precision and outright driving involvement of the BMW M3/M4, nor the outrageous soundtrack or brutish nature of the C63, but that's quite okay. While petrolheads will deplore the lack of launch control and that the Audi's a smidge slower than its rivals from the M and AMG divisions, the reality is that opportunities to really stretch the vehicle's legs are few and far between. If you think of the RS5 Sportback as a rapid, comfortable GT (as opposed to a sports sedan), the package makes the best sense. Looking to buy a new / used Audi RS5? 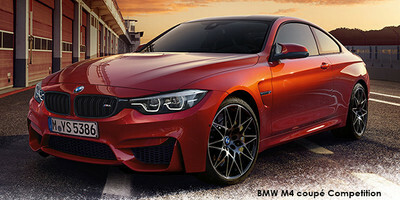 The F80- and F82-generation BMW M3 and M4 set a dynamic benchmark, but the pair is due to be discontinued soon. Power comes from a bi-turbocharged 3.0-litre straight-6 engine and driving enthusiasts still celebrate the cars' rear-wheel-drive dynamism. 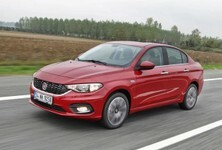 The hot upstart from Italy has thrilled and wowed everyone with its rorty bi-turbo 2.9-litre V6, but since its launch, it has been plagued with issues (such as electronic gremlins), which indicates it may have been rushed to the market. The monstrous C63 is the only vehicle in this crowd that houses a (4.0-litre) V8 engine under its bonnet. Not only is it unsociably loud – it's brutally fast. 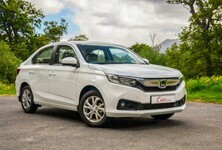 However, it can prove a handful to drive as the outright grunt may overwhelm the tyres in low-grip conditions. Not for the faint-hearted.